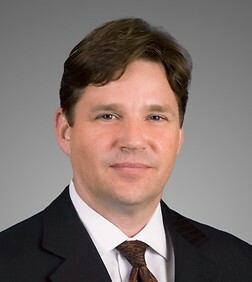 James Mercer is a Partner in the Corporate Practice Group in the firm’s San Diego (Del Mar) and London offices. Mr. Mercer practices in the area of corporate law, with an emphasis in United States and cross-border capital markets and merger and acquisition transactions. Mr. Mercer represents companies in public offerings of securities in the United States including initial public offerings, secondary public offerings, tender offers, registered direct offerings, and PIPEs, as well as periodic reporting and disclosure, Sarbanes Oxley and Dodd Frank Compliance. He advises United States and international companies in private offerings of securities, including Regulation D, Regulation S, Rule 144A private placements and security token offerings (STOs). Mr. Mercer also represents both public and private companies in United States and cross-border mergers and acquisitions across a wide variety of industries in asset sales, stock sales, mergers, triangular mergers, and other business combinations. From 1999 to 2004, Mr. Mercer was general counsel and chief financial officer of a Nasdaq-listed telecommunications software company. Represented Electro Rent Corporation, a Nasdaq-listed equipment rental company in its $384 million sale to Platinum Equity and going private transaction. U.S. counsel to social media company Engage Sciences in its sale to Wayin, Inc. Represented U.K. based online casino operator Gamesys Ltd. in connection with its strategic investment in Metric Gaming. U.S. counsel to Capital & Regional plc. a London Stock Exchange listed owner and operator of regional shopping centers in connection with a £165 million placing of securities. Represented Vapestick Holdings Limited, a UK based developer of electronic cigarettes, in its sale to Victory Electronic Cigarettes Corporation, a US based publicly traded company, in $70 million transaction involving cash and common stock. U.S. counsel to Investec Securities plc as underwriter and placement agent in connection with £122 million initial public offering of Serverlec Group PLC on the London Stock Exchange. U.S. counsel to Dexion Capital plc as underwriter and placement agent in connection with £130 million initial public offering of Chenavari Capital Solutions, a registered closed end investment fund on the Specialists Market of the London Stock Exchange. Represented National Technical Systems, Inc., a Nasdaq listed provider of certification and testing services, in its $365 million sale to Aurora Capital Group and going private transaction. Advised Alibaba Group in $294 million PIPE investment in AutoNavi Holdings Ltd., a Beijing-based developer of electronic navigation tools, whose American Depository Shares are traded on the Nasdaq Global Market. Represented Micro Focus International plc, a London Stock Exchange listed multinational software and information technology company in is acquisition of the Orbix, Orbacus and Artix software product lines from Progress Software Corporation. Advised Tongjitang Chinese Medicines Company Limited, an NYSE-listed pharmaceutical company focused on the development, manufacturing, marketing and selling of modernized traditional Chinese medicine in China in a going private transaction that was recognized as the "Taking Private 2011 Deal of the Year" by the China Business Law Journal. Issuer counsel to AirMedia Group Inc., a leading operator of out-of-home advertising platforms in China, in its $100 million secondary public offering of American Depository Shares. U.S. counsel to Asia Green Agriculture Corporation, a Chinese based manufacturer of organic bamboo and other food products, in its alternative public offering via reverse merger and concurrent PIPE financing. Issuer counsel in registered direct offerings and PIPE financings aggregating to $100s millions, involving preferred stock, common stock and convertible debentures for companies across a wide variety of industries. Represented the shareholders of T-Systems International, a manufacturer of irrigation products, in $90 million sale of stock to Deere & Company. Represented shareholders of Intelligent Automation Corporation, a developer of computer systems for military helicopters, in $82 million sale of stock to Honeywell International, Inc.
Counseled Telanetix, Inc., a Nasdaq-listed videoconferencing company, in its acquisition of Accessline, Inc., a VoIP service provider, in $36 million triangular merger. Advised Cell Site Industries, Inc., a cellular base station repair company, in $40 million sale to Andrew Corporation, an NYSE-listed telecommunications infrastructure manufacturer. Representation of ReEnergy Group plc, an AIM-listed U.K. company in the acquisition various U.S.-based companies and technologies. Represented the shareholders of May Logistics Services, Inc., a distribution logistics company, in sale to private equity firm Code Hennessey & Simmons, Inc. Represented Sentra Securities, Inc. and Spelman & Co., securities brokerage firms, in sale to SunAmerica, Inc. Counsel to American Health Properties Inc., an NYSE-listed REIT in purchases of a number of hospital properties and related assets.